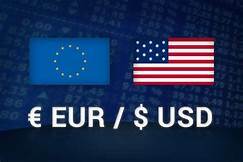 EUR/USD climbs to a fresh weekly-high (1.1659) even as data prints coming out of the euro-area instill a weakened outlook for the monetary union, and recent price action warns of a larger advance as the exchange rate initiates a fresh series of higher highs & lows. EUR/USD appears to be unfazed by the 0.9% decline in German Factory Orders, and the resilience in the single currency may persist ahead of the next European Central Bank (ECB) meeting on September 13 as the Governing Council appears to be on course to wind down the quantitative easing (QE) program ahead of the December deadline. With that said, a material change in the ECB’s forward-guidance may generate a further shift in EUR/USD behavior, with the exchange rate at risk of extending the recovery from the 2018-low (1.1301) as it carves a fresh series of higher highs & lows. Sign up and join DailyFX Currency Analyst David Song LIVE for an opportunity to discuss potential trade setups. The rebound from the 2018-low (1.1301) may continue to unfold as bothprice and Relative Strength Index (RSI) threaten the bearish trends from earlier this year, with a move above the 1.1640 (23.6% expansion) to 1.1680 (50% retracement) region raising the risk for a run at the 1.1810 (61.8% retracement) hurdle, which largely lines up with the July-high (1.1791). Need a closing price above the stated region to open up the topside targets, with the next region of interest coming in around 1.1960 (38.2% retracement) to 1.1970 (23.6% expansion).